March Classes for: Puppies, Family Dogs and CGC (Canine Good Citizen) Prep. Click Here for Information on my upcoming March Classes for Puppies, the Family Dog, and for preparing for the AKC Canine Good Citizen Test! If you’ve had a desire to give back to others and you think you and your dog would be a good team to visit people in a hospital or nursing home or have children read a book to your dog… Now you can take the first step by signing up for my AKC Canine Good Citizen class. Even if you don’t want to be a Therapy Dog Team, obtaining a CGC certificate can open up other new opportunities for you and your dog. CGC is also now an AKC Title. AKC has also expanded the CGC certificate to include an additional 2 advanced tests: the Community Canine (aka CGC-Advanced) and the CGC Urban. As the we get closer to Spring, be on the lookout for additional classes to be posted. Looking forward to seeing you and your pups soon. In the meantime, remember to dream about unleashing your dog’s pawsibilities! 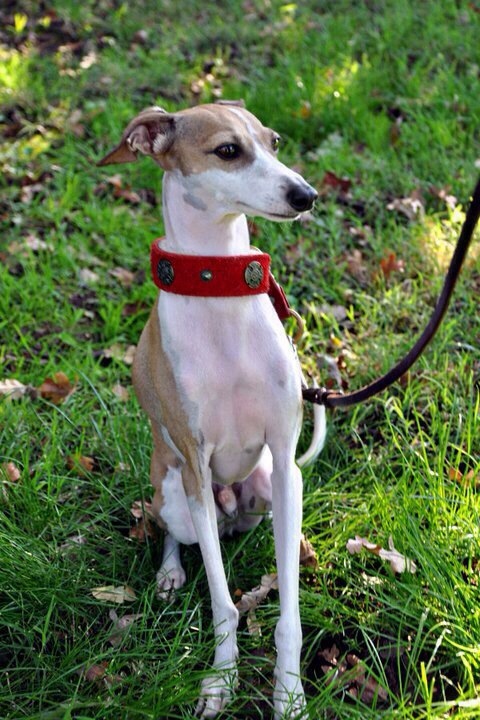 My Italian Greyhound, Skip, is needing surgery for a large hemangioma on his back leg & a few small ones, on his chest. Please click on the link below to learn more about our need & then you can pray that we will be able to raise the funds needed for his surgery. Thank you so much for praying & giving. National Train Your Dog Month is every January. This annual training month is promoted by and sponsored by APDT (Association of Professional Dog Trainers). On the website dedicated to this month are many FREE resources for dog owners and dog trainers… so check it out! Be on the lookout for my training classes to begin this month SOON! Dates & times TBA but you can sign up for my email list. Skippy has a VERY LARGE hemangioma (approximately 4 cm in size or about 1.5 inches) AND REQUIRES surgical removal. In February, I received from the veterinary clinic an estimated cost ranging between $760 up to $880. Because Skippy’s hemangioma is so large it often starts to leak and drip blood from a simple bath or from him cleaning himself to the point of it being a regular occurrence and I keep praying he doesn’t bust it wide open by brushing against bushes or something. So I really am in need to have this surgery preferably very soon hopefully within a few weeks before it bursts and hemorrhages. Skippy has had small ones that in the last 3 years that were treated with a natural Chinese herbal supplement which reduced the size of some and eliminated others. Between 6-7 years ago, Skippy had 3 hemangiomas removed and all were benign. Then a little over 3 years ago he had 3 more hemangiomas removed and they were also benign. Some hemangiomas can become malignant (which would then be called: hemangioma sarcoma) if left to grow unchecked. However, I have requested that a histiopath not be done this time to determine if it is malignant because I would not put him through chemotherapy or other cancer treatments. I’ve also requested that he not be boarded overnight to reduce some of the cost. The cost does include lab work to make sure he is healthy to undergo anesthesia and it also includes antibiotics and pain medications for his post-op recovery. Other than this hemangioma, Skippy appears to be healthy, is still very active and is more confident as each year passes. In fact, this past fall, I was so proud of him earning 3 new AKC Titles: his AKC Novice Trick Dog Title, his AKC Intermediate Trick Dog Title and his AKC Canine Good Citizen Urban Title. Skip continues to help me as a demonstration dog in classes and pr. He is now my only dog. We had plans to compete in Rally Obedience at the recent Shasta Kennel Club’s Dog Show that was recently held in our area, however, because of his hemangioma, I have put it off for now. Although I teach dog classes, because I am on social security disability, I am allowed to only work so many hours/days a month & have limitations on how much income I can earn. I have just enough income to get by. In the past, the veterinary clinic allowed me to make payments on services that exceeded my ability to pay. This is no longer an available option due to changes in company policies. This is why I don’t have the finances available for Skippy’s surgery. Any help will be so greatly appreciated. Thank you in advance for your generosity for considering to help Skippy receive this much needed surgery. Again, here’s the link if you would like to donate for his surgery or simply to pass the info along to someone else.